Ultrasonic recipients will receive an ultrasonic signal emitted by an ultrasonic transmitter in accordance with the characteristic frequency. Received signal is going through the process of filtering using the frequency band pass filter circuit, with a frequency value that is passed has been determined. Then the output signal will be amplified and passed to the comparator circuit (comparator) with a reference voltage determined based on the amplifier output voltage when the distance between the sensor mini vehicles with bulkhead / retaining walls to reach the minimum distance for the turn direction. Comparator output can be considered under these conditions is high (logic '1 '), while longer distances are low (logica'0'). Binary logics are then forwarded to the circuit controller (microcontroller). First - the first received signal will be strengthened first by the circuit transistor amplifier Q2. Then the signal will be filtered using a high pass filter at a frequency of> 40kHz by a series of transistor Q1. After the signal is amplified and filtered, then the signal will be rectified by diode D1 and D2 series. Then the signal through a filter circuit low pass filter at a frequency <40kHz through the filter circuit C4 and R4. After that the signal will go through the Op-Amp comparator U3. 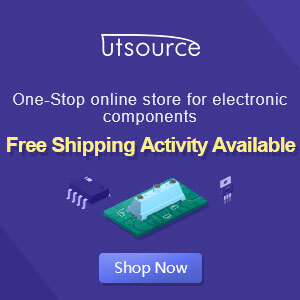 So when there is an ultrasonic signal into the circuit, then the comparator will issue a logic low (0V), which will then be processed by the microcontroller to calculate the distance.